The sooner you can take care of clogged drains, the easier the problem will be to deal with. A drain clog can develop over time and become worse the longer that it is left alone. A single clog can cause odor problems, slow down the flow, and cause further issues for your home’s other drains. Some of the signs of clogged drains could mean that you even have a problem in your sewer line, which needs to be seen to by a professional plumber as soon as possible. Noticing that one or more of your drains are beginning to slow down is the first sign that there’s most likely a clog that is developing in your system. Early stages of many kinds of clogs still permit water to flow, but you may encounter odors from rotting materials accumulating inside the plumbing. This is especially true of sink drains when the clog forms in the P-trap. Dealing with a clogged drain time and time again means you need professional assistance. You may experience a clog now and again, but a slow drain that is prone to stopping up should be cleared by a plumber. Even if the problem appears to go away with the use of a plunger and a little elbow grease, it’s likely that a clog will continue to catch debris and stop up again the next time you use the fixture. There are a few different types of clogs that can occur, including accumulated grease and detergent buildup in kitchen sinks, hair and soap in bathroom drains, and foreign object clogs in toilets. Getting your drains cleared as soon as possible will ensure that your plumbing will function like normal and you will not have to deal with these problems any longer. 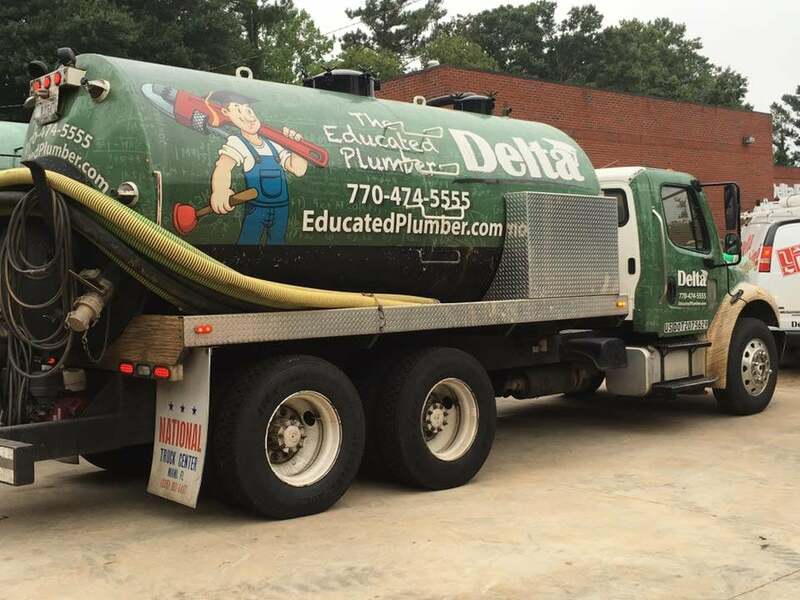 No matter the nature of your clogged drain, the professionals at Delta Plumbing of Atlanta can handle it. Give us a call at any time of the day or night and we will get your plumbing system flowing again. Visit our website or contact us at (678) 228-8810 to schedule an appointment.